We maintain a vast selection of Pintle Hook of 5 ton capacity, which find wide application in vehicles as couplers in the front and rear. Attributing to its sturdy structure, precise design, corrosion resistance and durability, our 5T Pintle Hook is demanded across the globe. 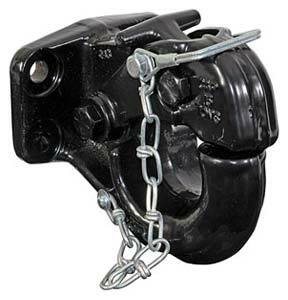 Whatever be the nature and requirement of Pintle Hook, we are the Exporter, Manufacturer and Supplier to reckon with for the finest range of 5T Pintle Hook.